When you think of the University of Oregon, two things come to mind: crazy color combinations and speed. 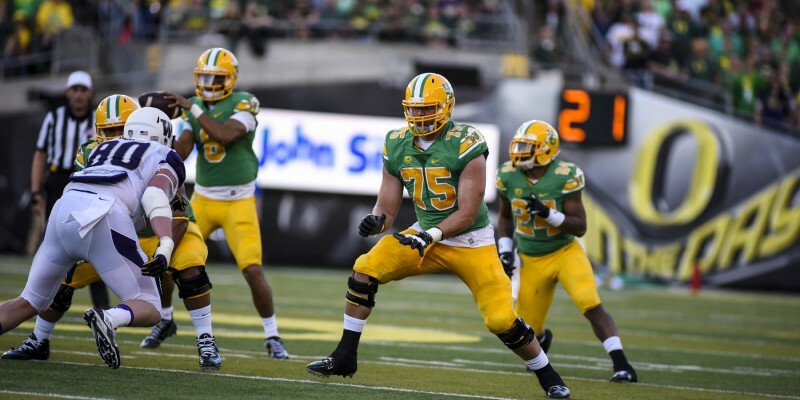 At the NFL Combine, and thusly reported by Andrew Greif of oregonlive.com, former Oregon left tackle Jake Fisher clocked in a blazing 5.01 second time in the 40-yard dash. For those that are unfamiliar with the 40-yard dash, and how it impacts a player’s draft stock, it is huge. For a lineman, one might not think that it’s as important as showing overall brute strength, but scouts and coaches definitely do take it into consideration. Fisher did finish with 25 reps on the 225 bench press test, which is poor for a lineman. The 40-yard dash time he clocked might help alleviate any of the sour taste he put into coaches mouths with the low number on bench press. Through this point in the combine this year, Fisher’s time is good for 3rd overall among offensive linemen. 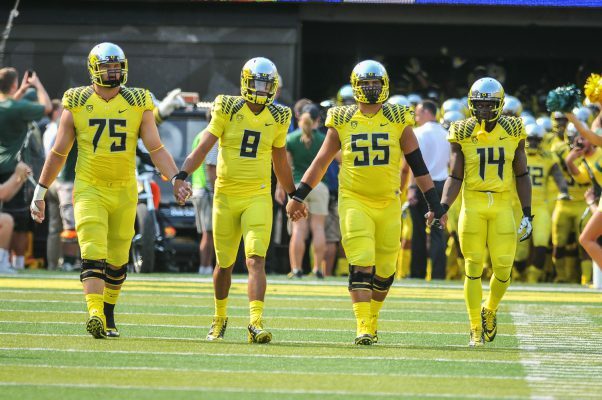 Coming up on the schedule for the Ducks is the Oregon Football Pro Day on March 14th, hosted right here in Eugene at the Moshofsky Center (indoor Football practice facility). It’s very ill-advised on the part of any player invited to the NFL combine to do poorly, but one who didn’t perform to the best of his abilities has a chance to redeem himself at his respective school’s Pro Day. In the case of Fisher, he will be looking to run the same, if not better 40-yard dash time, as well as looking to get his bench press mark into the low or mid 30’s. That type of improvement will show a lot to coaches at the next level. Stay tuned to FishDuck.com as we will keep you updated with all combine news related to our beloved Ducks.